As seasons change, so dose our bodies and what they require to keep us going. Here's some info on the most overlooked part of your body that is in direct relationship to each and every inch of your body. Plantar Fasciitis , Shin splints , Tennis Elbow or Golfers Elbow, Carpal Tunnel Syndrome , Trigger Finger, Compartment Syndrome, Migraine Headaches, I.T. Band Syndrome , Patellofemoral Syndrome, Sciatica, Constipation, Ovarian Cyst, and many, many, more..
Fascia is now the most studied tissue in human movement science. Fascial restrictions are the root cause of the most common aches and pains associated with aging and wear and tear. If you take care of your fascia your fascia will take care of you. 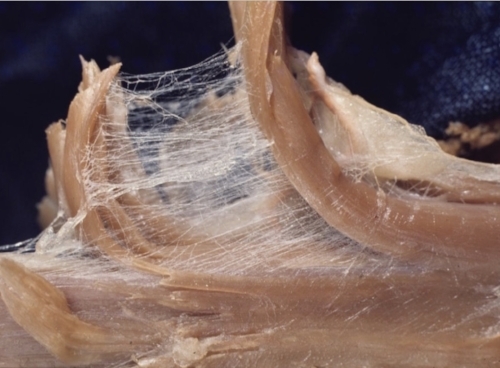 There are superficial layers, deep layers, and subserous layers of fascia in the human body. Fascia has varying degrees of fluidity. Look at some of the following facts about your fascia or fascial organ system.